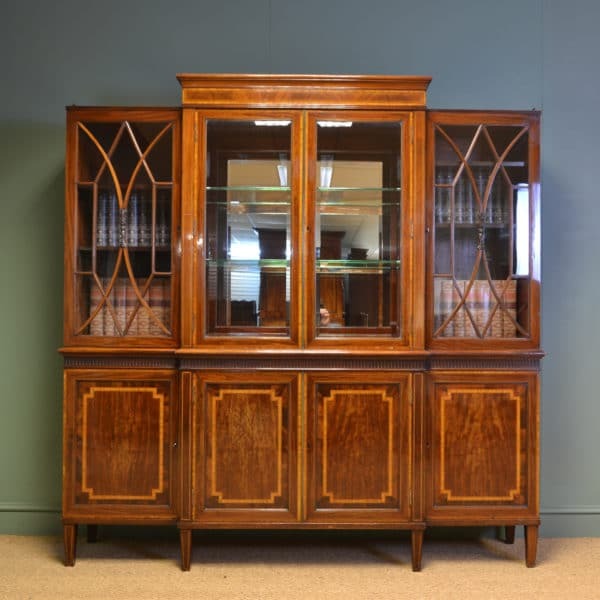 The Antique Edwardian Cupboard is a Cabinet made between the dates of 1901 to 1910 when King Edward VII was on the throne, after the death of Queen Victoria. These pieces of antique furniture were designed for storage and display as quite often they will have a glazed top above an enclosed base. This was because, decorative China was high in fashion, so displaying them in Edwardian cabinets was essential, to show guests before dining. The decoration used on cabinets of this period is usually inlay, with cross banding and woods such as solid Mahogany and Walnut is used. During this period, quality timbers were still in use along with skilled cabinet making, although wood working machines were starting to be used in their construction. Traditional Hepplewhite, Chippendale and Sheraton design influenced the decoration in furniture of this period so you can see many interesting features. Have a look below at our lovely examples available for sale. Below are a few examples of previously sold Edwardian cupboards but if any particular style looks of interest please let us know as we do get many similar designs in stock and we can try to locate something similar. 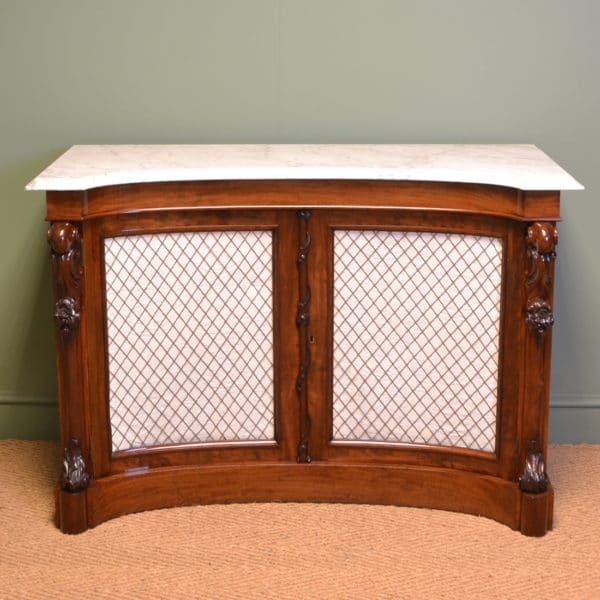 Edwardian Hepplewhite Design Mahogany Antique Cabinet / Cupboard. 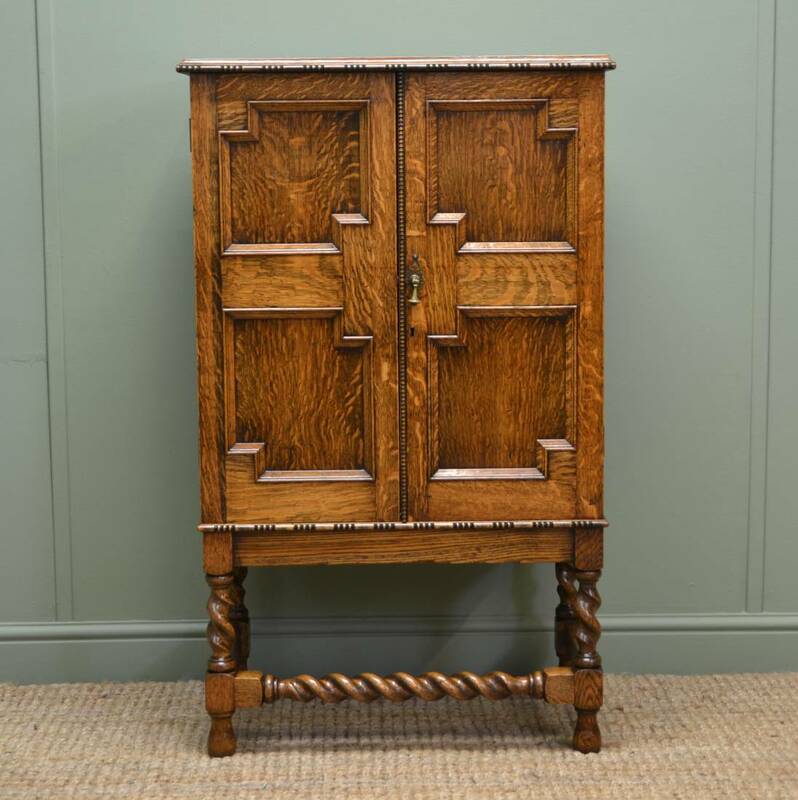 Designed in the style of Hepplewhite, this antique Edwardian Cabinet / Cupboard is constructed from mahogany and dates from around 1900. 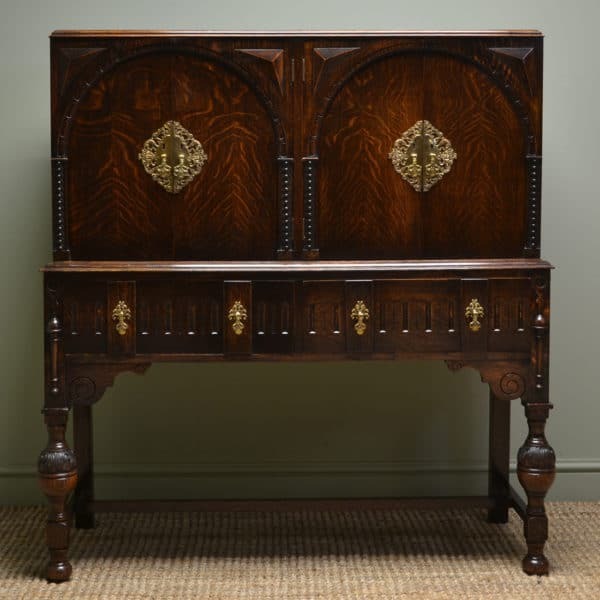 The top has a decorative carved moulded edge above a deep reeded frieze with floral carved motifs. A drawer sits just below the frieze and has the original brass handles. The sides of the cabinet are bowed and flank two central cupboard doors with key and working lock. The doors have a brass clash mould and open to reveal a single fixed shelf within the interior. Both the doors and sides have beautiful figuring with decorative beading and carved floral motifs. 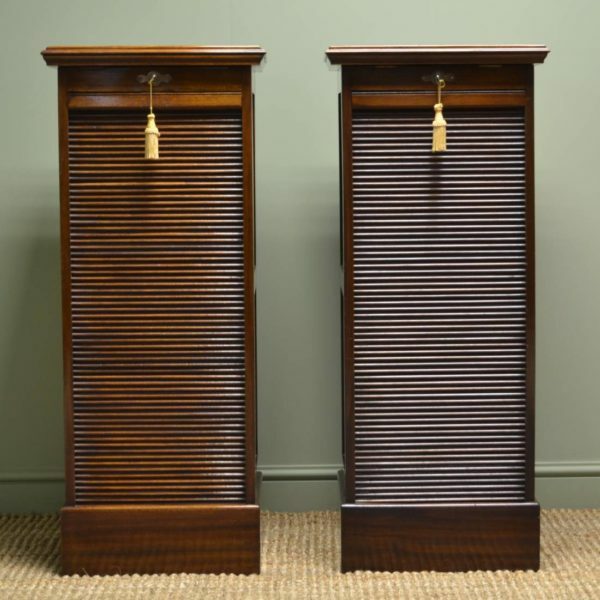 Reeded panels lead down to the feet which are delightfully shaped. 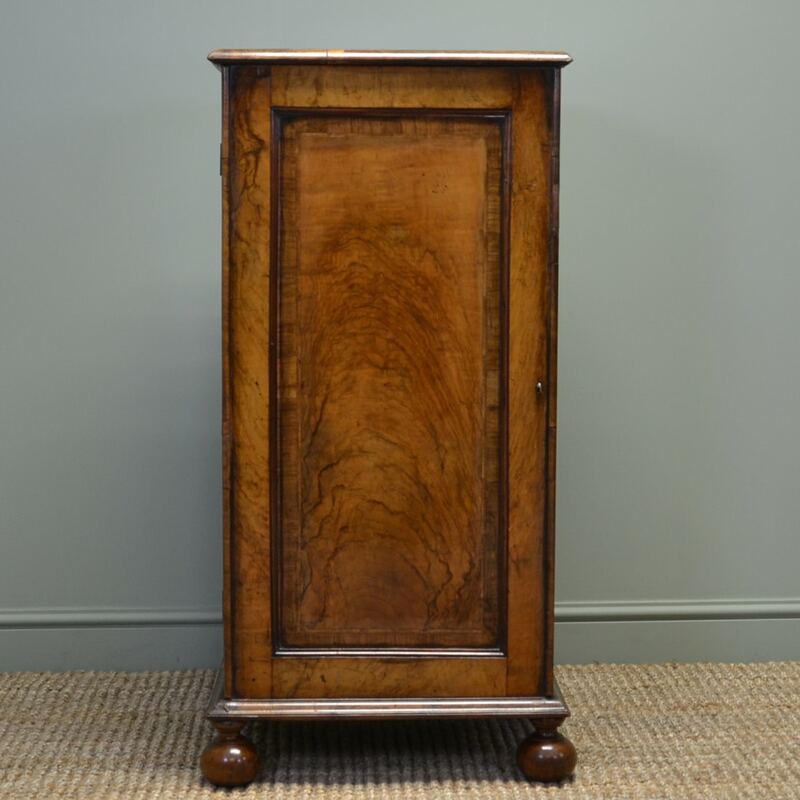 Unusual Edwardian Golden Oak Small Antique Cupboard. 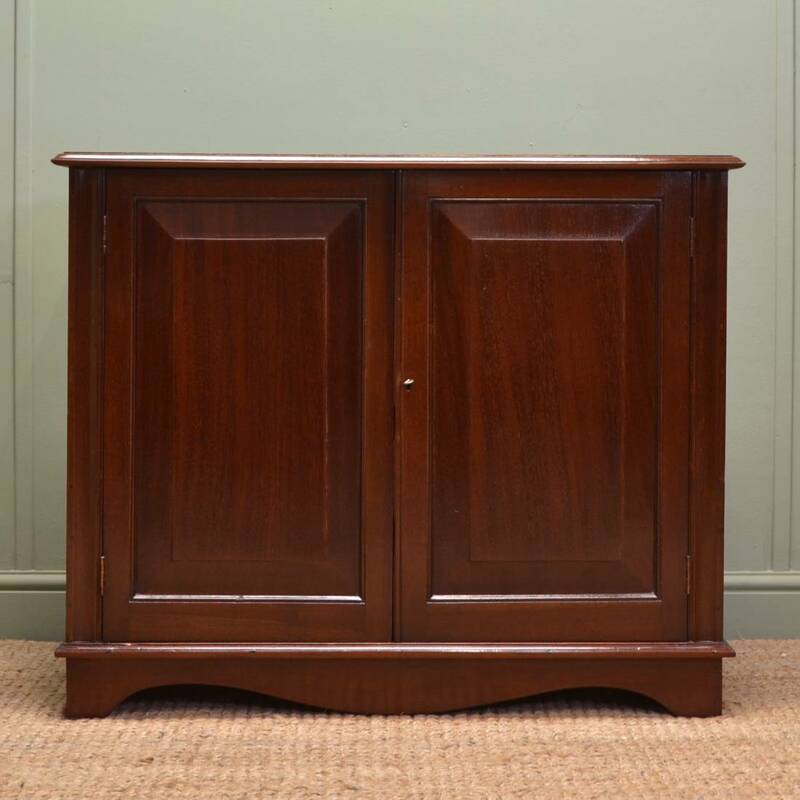 This Delightful Edwardian Golden Oak Small Antique Cupboard circa, 1910 would make the perfect hi-fi cabinet and has a rectangular moulded top above two cupboard doors with moulded edges with beautifully figured panels with original brass handle. The interior benefits from one fixed shelf and stands on an unusual barley twist base with turned feet. 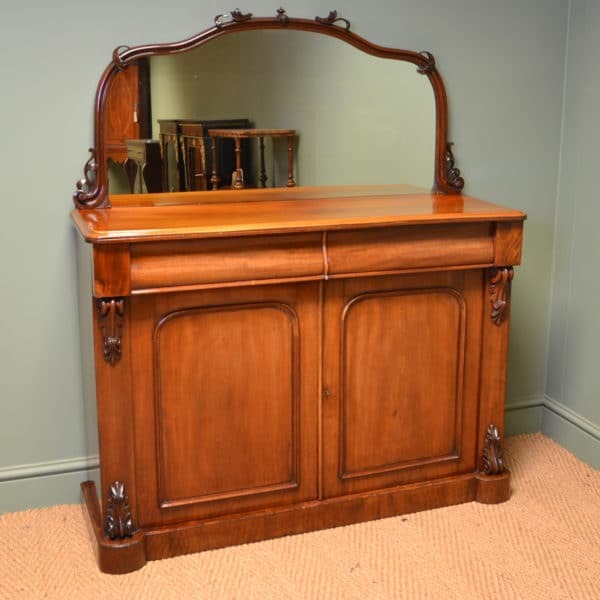 Small Quality Edwardian Mahogany Antique Cupboard / Cabinet. Dating from ca. 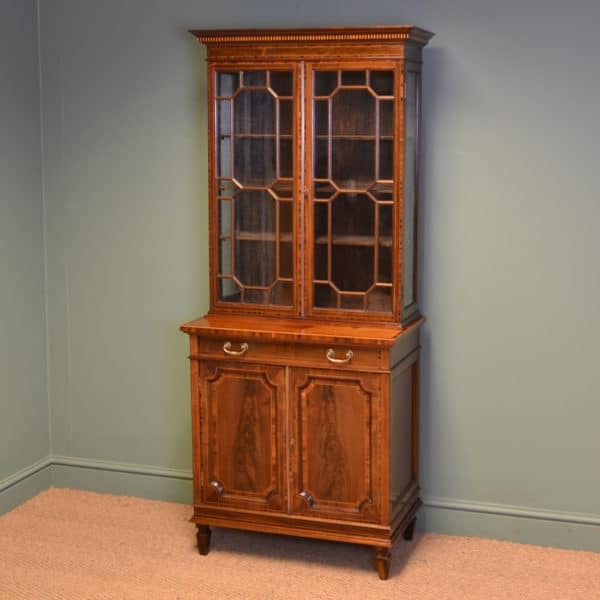 1900 this Quality Edwardian Mahogany Antique Cupboard / Cabinet is of neat small proportions. Its dimensions make it the perfect home for a flat screen TV with the added bonus of plenty of storage place for DVDs! It has a moulded top above two cupboard doors with raised fielded panels, key and working lock. 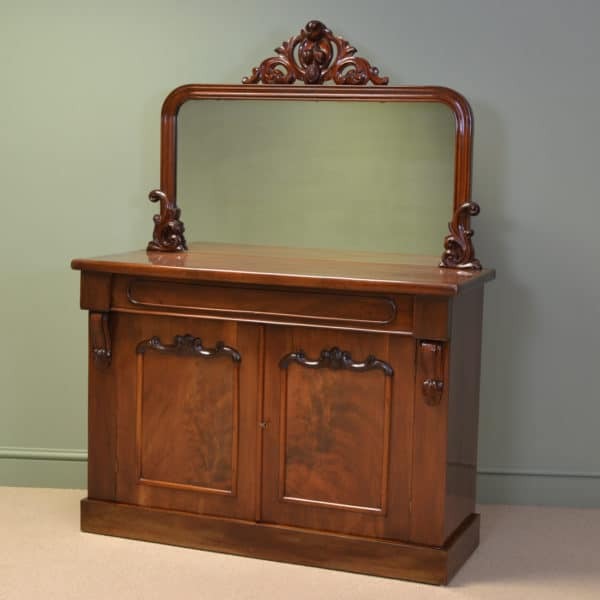 Quality Edwardian Antique Mahogany Cupboard. 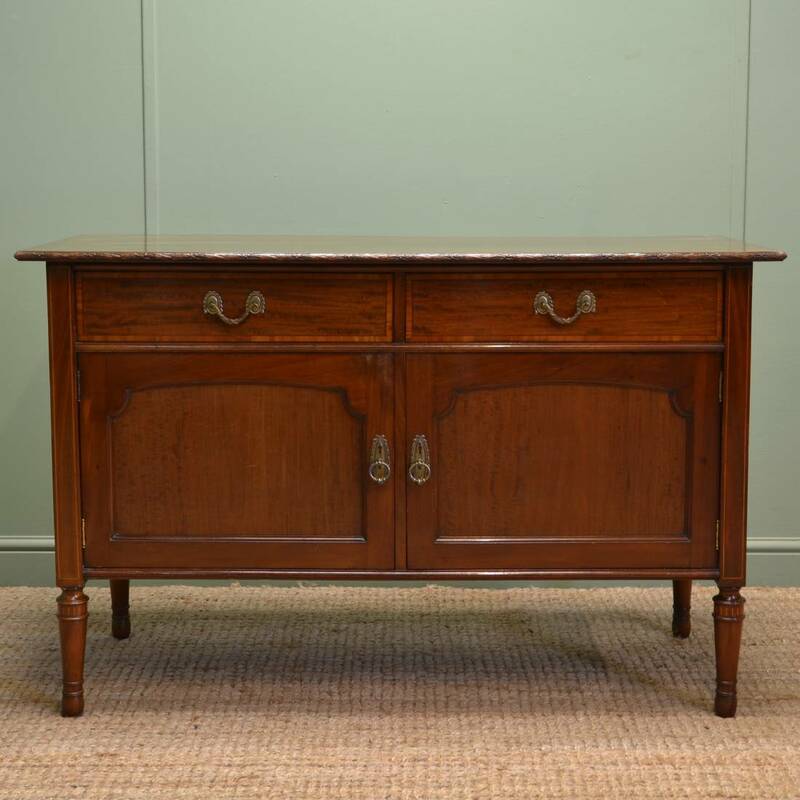 Dating from around 1900 In The Edwardian period this extremely useful Cupboard has a rectangular top with decorative carved moulded edge above two mahogany lined drawers with the original brass handles. The two cupboard doors have beautifully figured panels and also have the original brass handles. 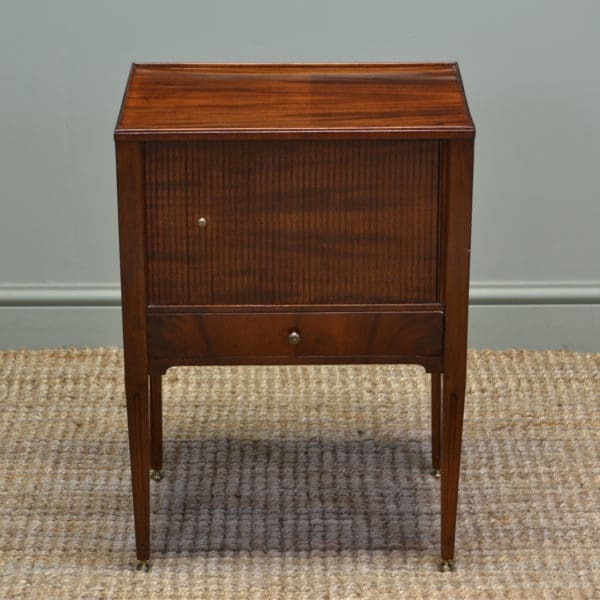 This super antique stands on four elegant turned inlaid legs. 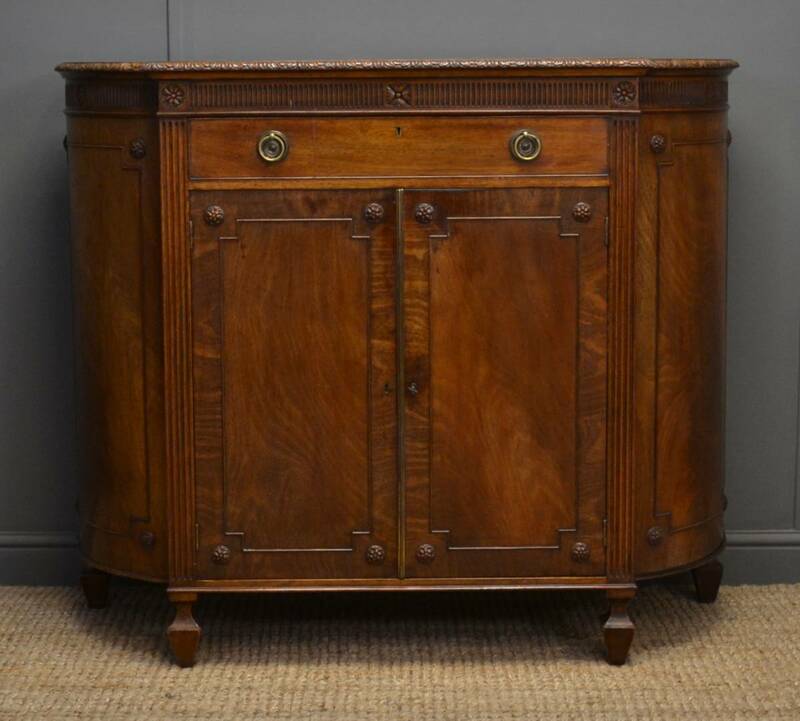 Edwardian Walnut Queen Anne Design Antique Cupboard. 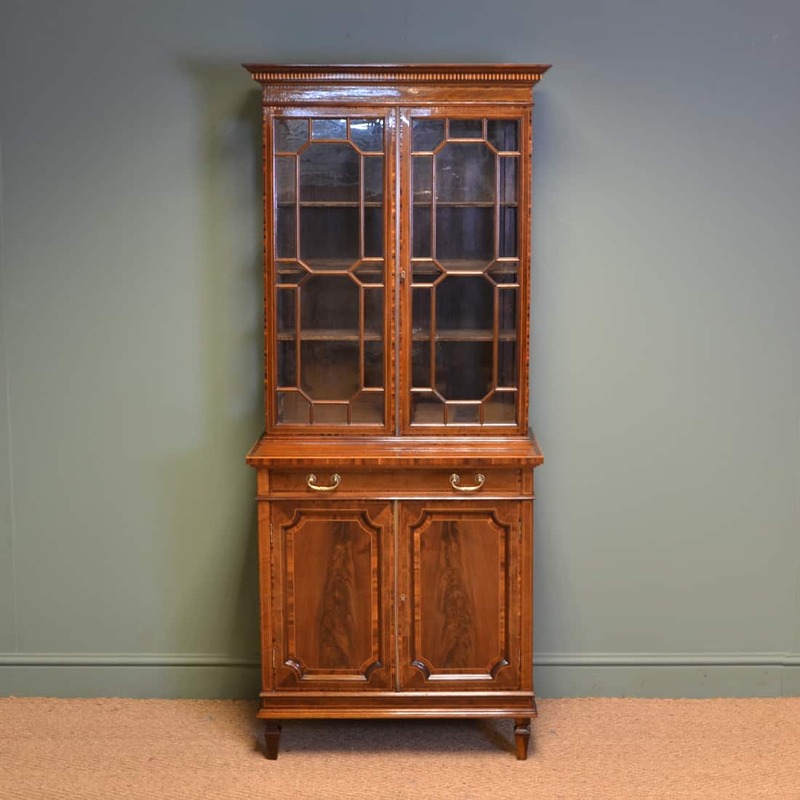 Dating from Around 1900, This Edwardian Walnut Queen Anne Design Antique Cupboard is of unusual proportions and would fit into most homes beautifully. 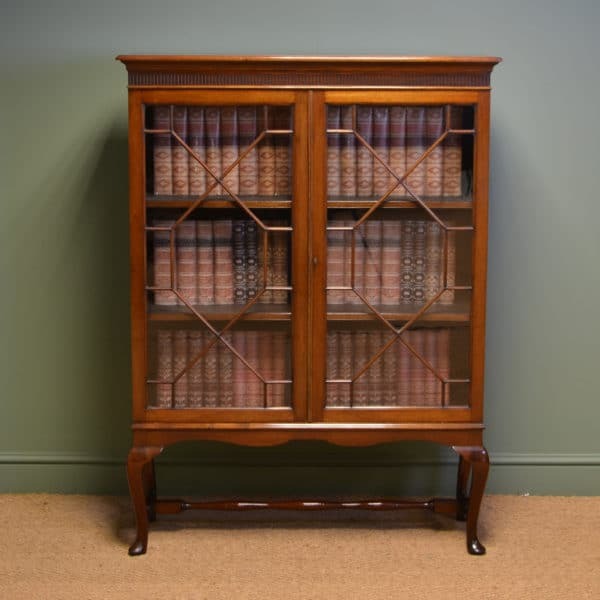 It has a rectangular moulded top with cross banded and feather banded edge above a full length beautifully figured cupboard door, again with banded edge and key with working lock. The interior comprises of two sliding linen trays and the piece stands on Queen Anne turned bun feet. Just to let you know I am really pleased with the Georgian corner cupboard. Arrived safely on Saturday. Couriers very helpful and cheery. Thank you for hanging on to it for me.